Sounds Like Summer is more than just your weekend get-away book. The book tackles depression and suicide. It’s more of a self-discovery novel rather than romance. Lux is a scientist and she has depression. She grew up in an environment where perfection is a conclusive result from countless trial and error. After an accumulation of unsuccessful experiments, she snapped. When she was given an opportunity to attend a renowned weekend beach-music festival, she grabbed the opportunity. There she meets Micah Jacinto. A boy who has a penchant for adventure who literally has a moon inked on his arms. This is her self-exploration novel. I know a lot of readers tend to get dissuaded when there’s a book about mental illness and they suddenly hear there’s a love interest. In some cases, it alludes romance will fix the main character. Sounds Like Summer isn’t like that. If you’ve read #romanceclass books, you’d know most of the novels tend to be subdued. For this story, I hardly would call it romance centered. Of course, the readers could feel the searing chemistry between the two main characters, but it’s not the main prose. This novel, despite being paraded as a gate-away weekend focuses on hard-hitting topics such as self-harm, depression, and suicide. So please thread carefully if you’re not comfortable at reading scenes that skirted around it. I like that Sounds Like Summer confronts mental illness not only in STEM but in the Filipino community. There’s a lot of stigma, and I’m glad we have this as a mirror. Lux’s brother is so supportive of her. I love it. It was respectfully done. It’s difficult to say if it balances the fun and the pain. It depends on the reader’s parameters. I also appreciate that while the heroine and the male character just met and interacted during their weekend, it wasn’t treated as this instant colossal romance. Instead, the ending hints that they’ll explore getting to know each other first. It’s very authentic. 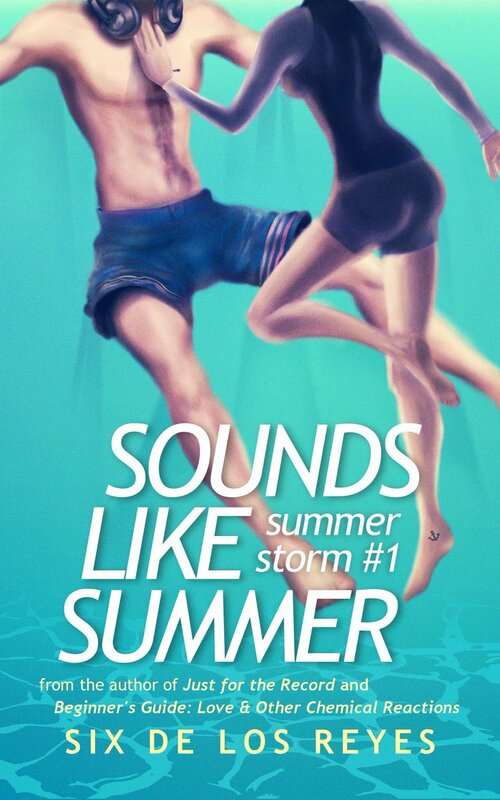 I would highly recommend Sounds Like Summer. It’s relatable, articulate paired with fleshed-out characters. Read it for the nuances of mental illness. Review also posted at Goodreads and Amazon.